If you like trying budget friendly makeup then Elle 18 is one of the amazing brands to try. Whenever I am in hurry, I prefer applying lip glosses. 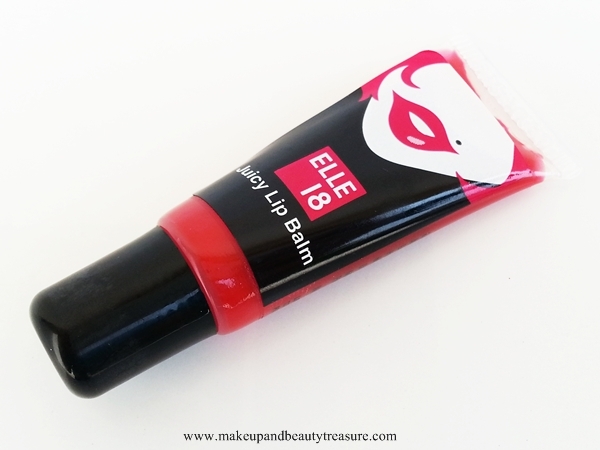 I use Elle 18 Juicy Lip Balm in Juicy Pink (reviewed HERE) whenever I step out of the house. It looks so natural and gives a nice sheen to the lips. 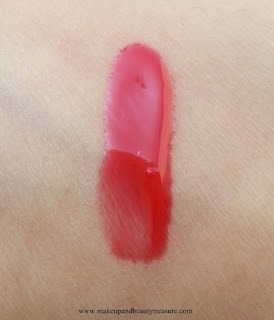 Recently I bought another shade ‘Juicy Red’ and it is honestly prettier than ‘Juicy Pink’. 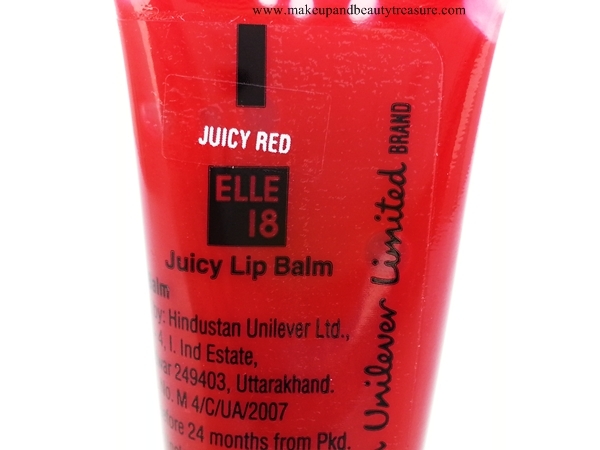 Here is my review on Elle 18 Juicy Lip Balm in Juicy Red Rs 110. 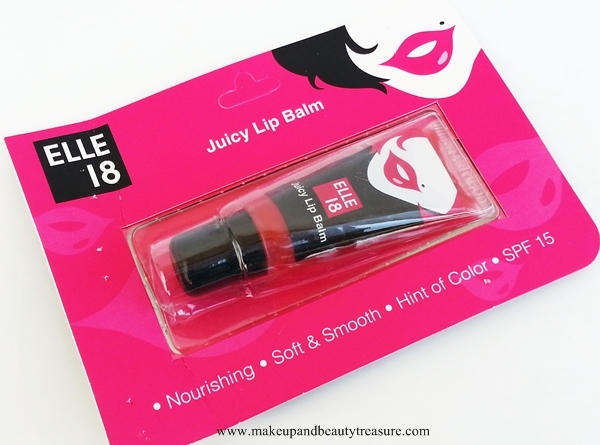 You can read the details regarding the packaging and formula in my earlier post on Elle 18 Juicy Lip Balm in Juicy Pink HERE. Juicy Red is a beautiful warm red color with a sheer pigmentation. Though it looks quite bright in the tube but it comes out as a gorgeous sheer hint of red on lips. It looks very pretty at day time or when I do light makeup. If you have very pigmented lips then you might not like it as it covers the lips sheerly. The brand has named it as lip balm but I use it as lip gloss. It is very moisturizing and I do not feel the need to use a lip balm underneath it. The best thing about this lip balm is its yummy fruity scent. I feel like licking it each time I use. My lips feel soft and moisturized. The lip balm gives a nice sheen to my lips. The stay power is pretty low. It stays on my lips as long as I do not eat anything. With few drinks, it stays on the lips but starts fading. Elle 18 Juicy Lip Balm contains Olive Oil and Jojoba Oil that keeps the lips nourished and moisturized. It also has SPF 15 that protects the lips from the harmful sun rays. • Gives a nice glossy effect and a hint of red to the lips. • Can be used over lipstick to get glossy effect. • Would not cover pigmented lips properly. 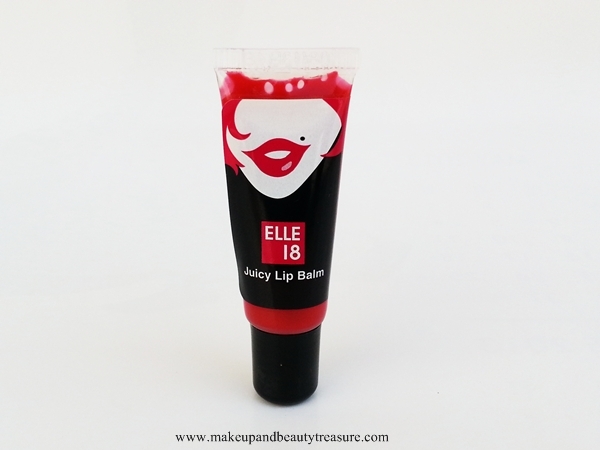 Elle 18 Juicy Lip Balm in Juicy Red is a gorgeous sheer warm red that looks absolutely beautiful on lips. It has a nice sheen to it that makes lip balm look like a gloss. It applies easily and feels light on lips. I would happily recommend it to everyone for every day wear! 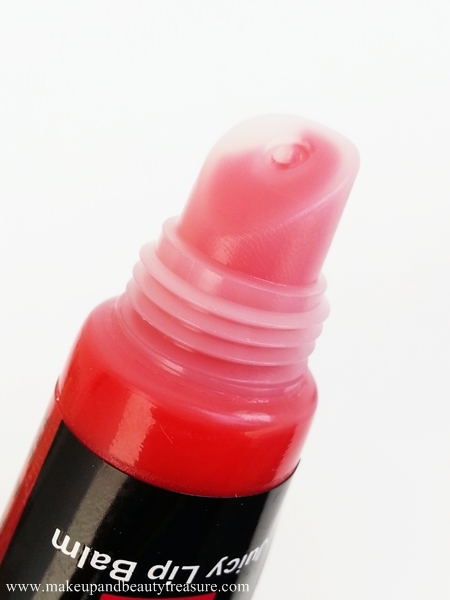 Have you tried Elle 18 Juicy Lip Balm? What is your favorite shade? Share in the comments section below!